Activity was generally low, but gradually more people came on as conditions improved and/or they came home from work. 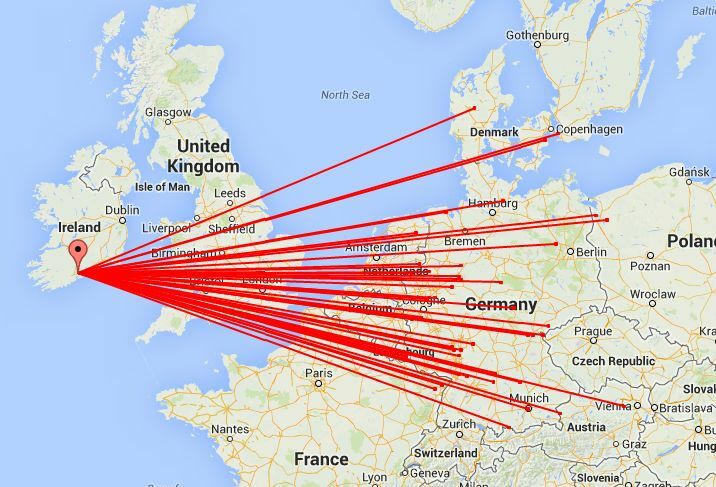 There were very few signals at a true “S9” level and even those were subject to a large amount of very rapid and deep fading: Many signals were close to the noise level, requiring CW or JT65 to complete a successful QSO. The best distance was to Franz, OE3FVU (JN78ve/1754km), which was predominantly a tropo QSO but with unavoidable assistance from abundant meteor scatter. 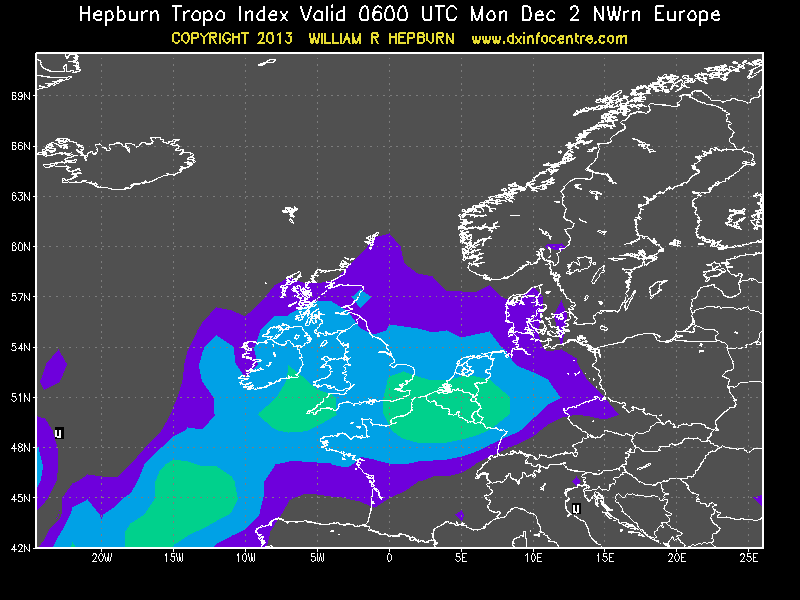 All contacts over 1300km are listed below, and show that signals were mostly quite weak. So that’s it, as I’m writing this conditions are back down to normal and nothing much is happening. 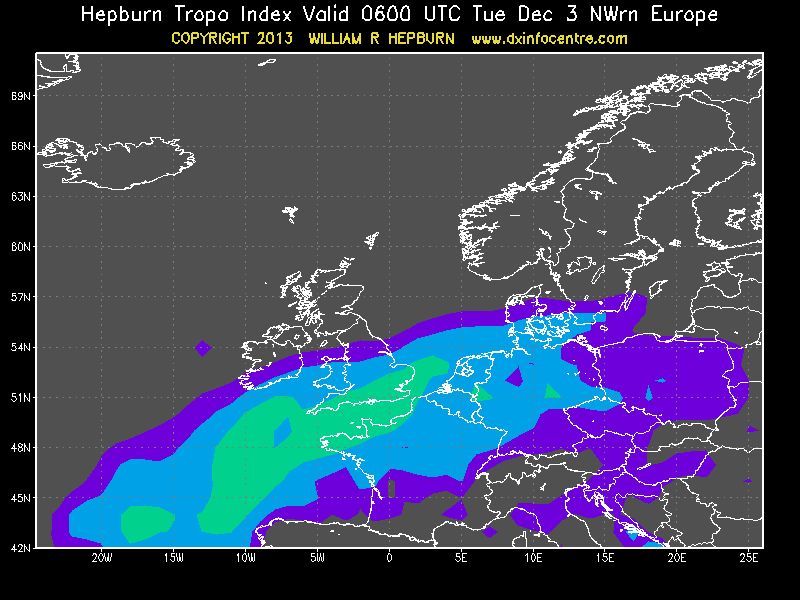 However, we have the Geminids meteor shower to look forward to, predicted to peak on December 14th at around 05:45z. Unfortunately I won’t be QRV for that one, but good luck to everyone that manages to get on! 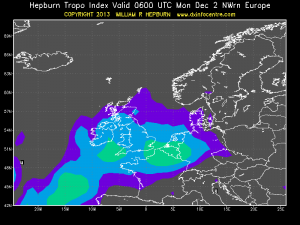 This entry was posted in 144MHz, tropo on December 4, 2013 by Mark Turner.